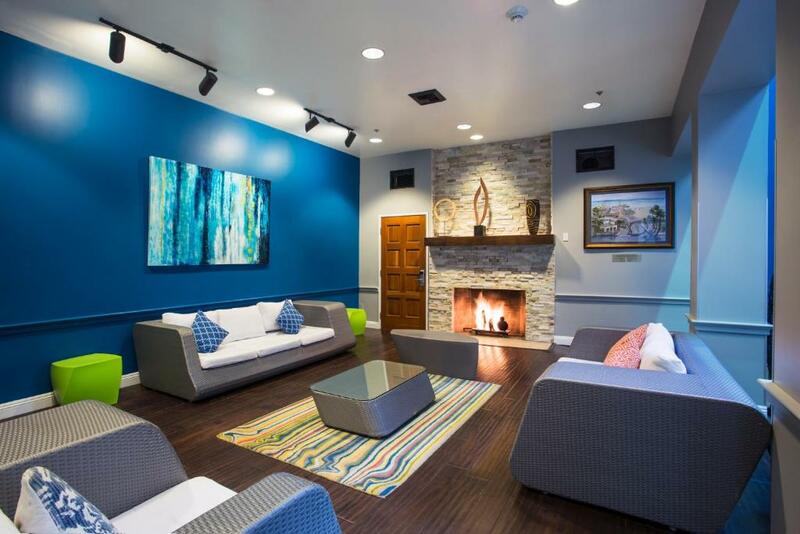 Lock in a great price for HI Los Angeles - Santa Monica Hostel – rated 8.7 by recent guests! 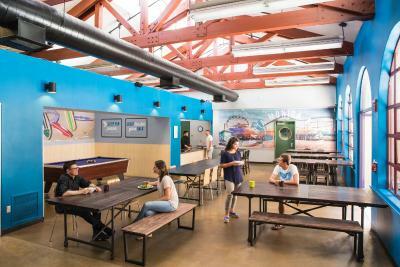 Awesome hostel that offers lots of activities and things to do. 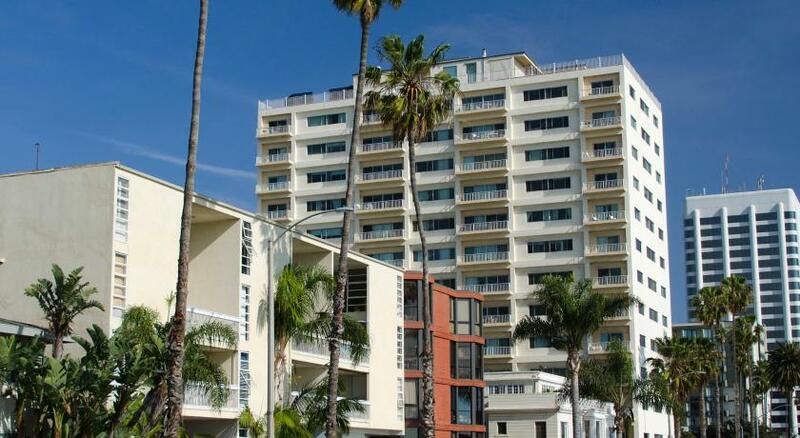 Perfect location in downtown Santa Monica, right off the beach. The location is great, it does feel safe to spend the night. Breakfast was incluse in the price. Front desk staff was great. Josh. Ruby n Philip were very nice and knowledgeable of the surrounding. I performed a comedy show at the hostel n it was fun. Great location. Close to beach n 3rd St Promanade is a block away. 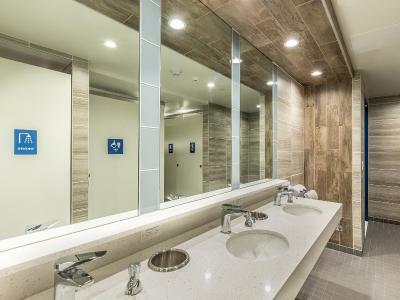 Everything was clean, the environment is very nice. You get to meet lots of people. 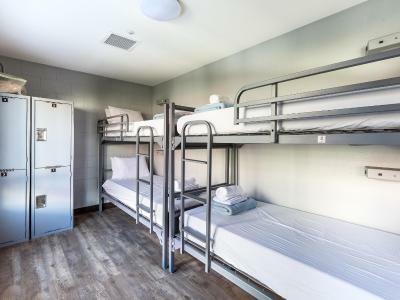 HI Los Angeles - Santa Monica Hostel This rating is a reflection of how the property compares to the industry standard when it comes to price, facilities and services available. It's based on a self-evaluation by the property. Use this rating to help choose your stay! One of our best sellers in Los Angeles! 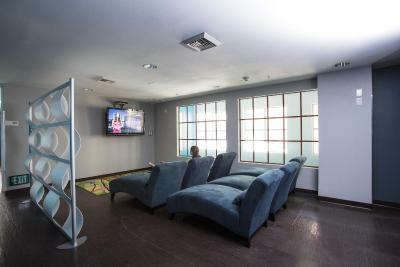 The largest all purpose-built hostel in the United States with affordable dormitory accommodations, HI Los Angeles - Santa Monica Hostel presents itself as your perfect headquarters for seeing all that the Los Angeles area has to offer. 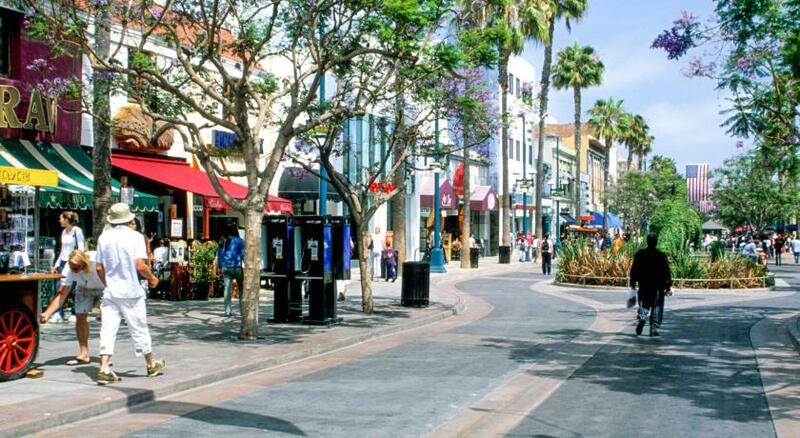 It is just steps to the beaches of Santa Monica, Malibu and Venice, not to mention the Third Street Promenade with hundreds of shops, theaters, galleries, eateries, and pubs. 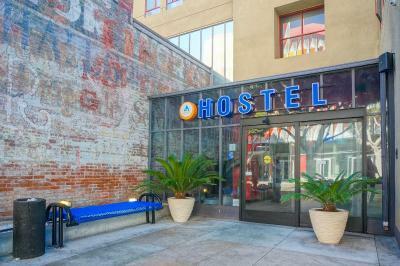 HI Los Angeles - Santa Monica Hostel is central to all Los Angeles bus lines offering easy access to city tours, movie star's homes, shopping, Disneyland, Disney's California Adventure, Universal Studios, Hollywood, Magic Mountain, Knott's Berry Farm, and the world class Getty Center Museum and the Getty Villa Museum, which overlooks the Pacific Ocean. When would you like to stay at HI Los Angeles - Santa Monica Hostel? 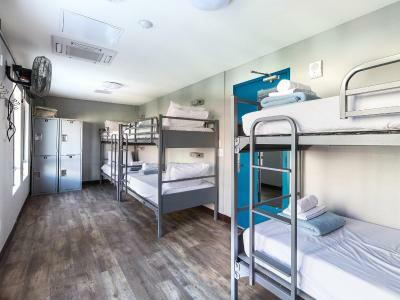 This female dormitory room features 8 to 10 beds, a shared bathroom, bed linen and towels. A complimentary Continental breakfast is included. Please note additional charges for this room are not calculated in the total cost. 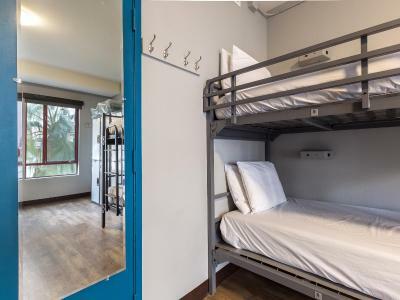 This male dormitory room features 8 to 10 beds, a shared bathroom, bed linen and towels. A complimentary Continental breakfast is included. 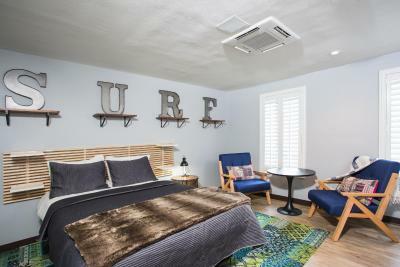 This female dormitory room features 4 to 6 beds, a shared bathroom, bed linen and towels. A complimentary Continental breakfast is included. 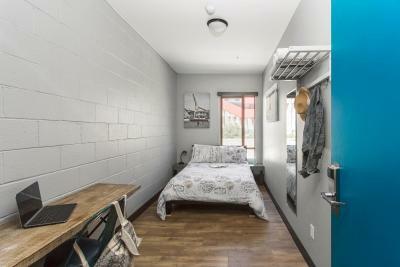 This male dormitory room features 4 to 6 beds, a shared bathroom, bed linen and towels. A complimentary Continental breakfast is included. 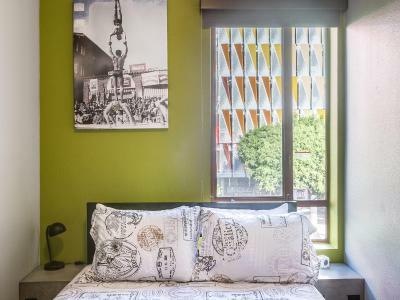 This premium male dormitory room offers 4 to 6 beds, an private bathroom, bed linen and towels. A complimentary Continental breakfast is included. This female premium dormitory room features 4 to 6 beds, an private bathroom, bed linen and towels. A complimentary Continental breakfast is included. 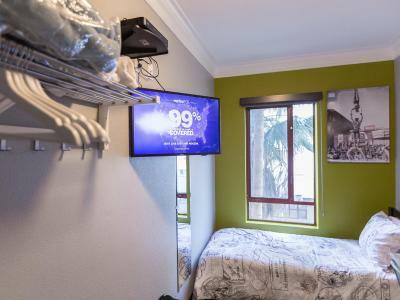 This twin/double room has cable TV. 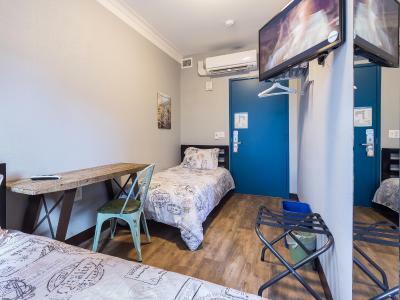 This female dormitory room features 8 to 10 beds, an private bathroom, bed linen and towels. A complimentary Continental breakfast is included. 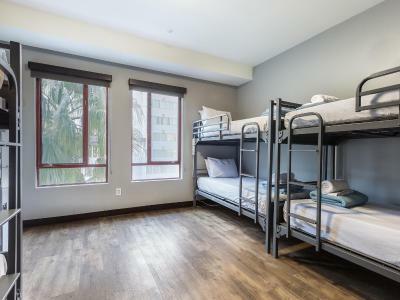 This male dormitory room features 8 to 10 beds, an private bathroom, bed linen and towels. A complimentary Continental breakfast is included. 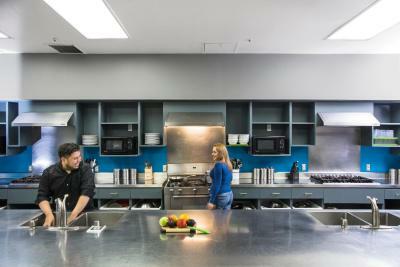 Hostelling International USA (HI USA) is a nonprofit, member organization founded on an enduring belief in the power of travel to foster a deeper understanding of people, places, and the world around. 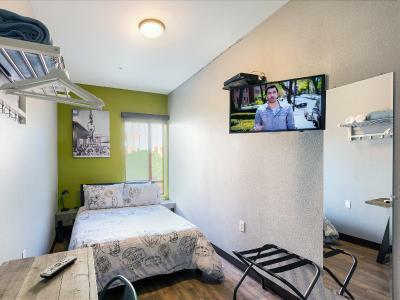 Area Info – This neighborhood is a great choice for travelers interested in the oceanside, road trips and skyline views – Check location Excellent location – show map Guests loved walking around the neighborhood! 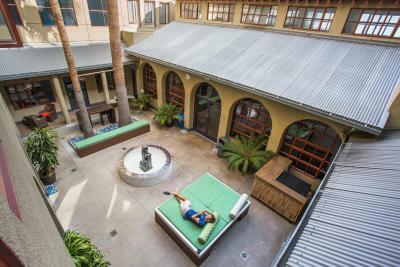 House Rules HI Los Angeles - Santa Monica Hostel takes special requests – add in the next step! HI Los Angeles - Santa Monica Hostel accepts these cards and reserves the right to temporarily hold an amount prior to arrival. Please note: Upon check-in all guests are required to present a valid passport. Children under the age of 13 are unable to be accommodated in shared dormitories. Children between the ages of 13 to 18 are unable to be accommodated in shared dormitories unless accompanied by a parent or legal guardian. Please note: Hostel guests may stay for 14 consecutive nights or an accumulative total of 14 nights during each calendar year. At the end of the 14 nights guests may not return until the following calendar year. No extensions will be granted. 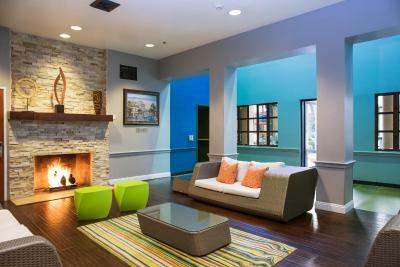 Please inform HI Los Angeles - Santa Monica Hostel of your expected arrival time in advance. You can use the Special Requests box when booking, or contact the property directly using the contact details in your confirmation. 1) Despite of complaint about the noise (practically all night from a room in the 3rd floor, the staff did NOTHING to resolve the issue. The noise continued for the next days. The worst sleep/non-sleep experience of my travel life! 2) Please answer this: why did the Hostel permit people to sleep in the library/reading room (the entire room was full of people sleeping in the room (they were even provided with blankets). Please answer and explain this. I have pictures to prove it. 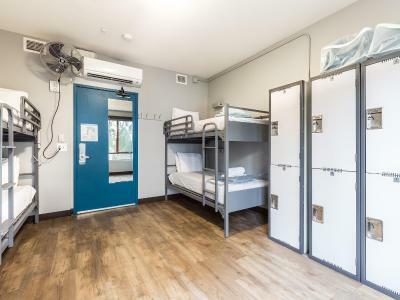 Price is a bit expensive for a hostel. Hospitality could be warmer and more attentive. Air con dried the air too much. Coffe did not taste so good. Location is pretty and in beautiful santa Monica. 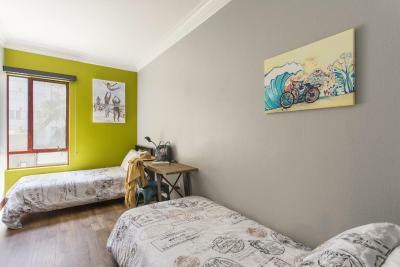 Beds are super comfy, there's a rich breakfast, a big kitchen, laundry and lots of activities for who's interested. There's also a super useful filtered water dispenser that makes you save a lot of money. A mattress creaks a bit. Only if you are super sensitive. Super comfortable hostel, very clean and silent. Never had any problems with a shower (no lines), the breakfast was good and in a nice place. And I also liked extra activities like a free comedy shows or a hike trip. And the location is perfect. Breakfast needed a bit more variety. At least som bran flakes or Raisin Bran. 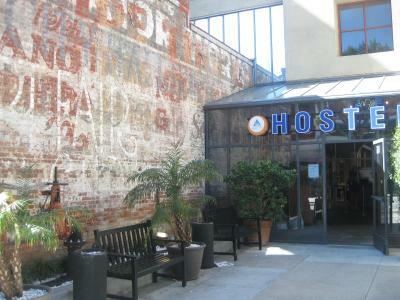 We had a perfect stay at the hostel. 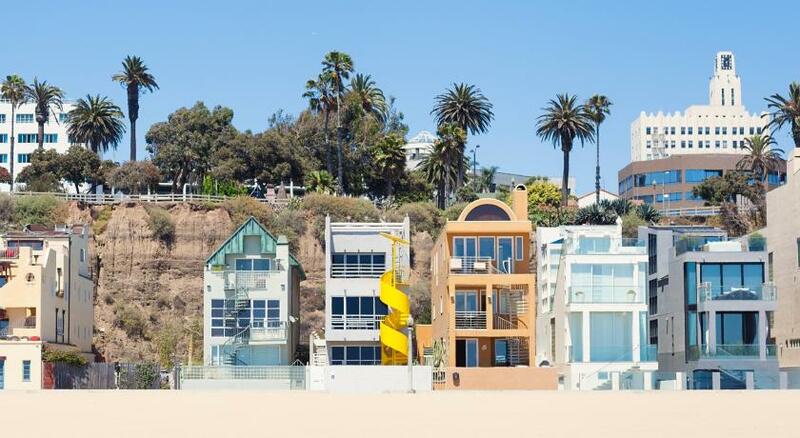 The location is absolutely incredible, just 5mn away from the Santa Monica Pier. 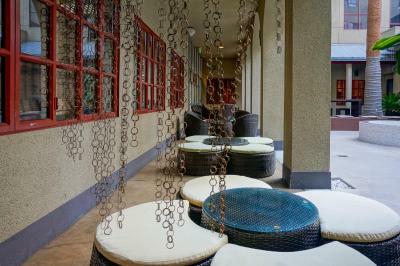 Also lot of bars and really nice restaurants in the area. 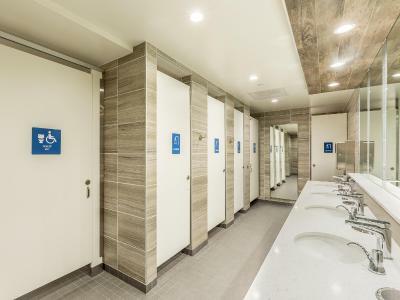 The dorms and bathrooms were really clean and they are very well equiped. Really enjoyed that they had hairdrier at disposal. I didn't the attitude of several of the staff members!! They could use professional training in customer service!!!!! Overall the facility and location were great. I think the storage room could be free. Why? Cause this way it would make the hostel more comfortable to everybody. How? Many people come late to the hostel and they start unpacking or searching for something in their beds so it disturbs everybody who just wants to sleep. If their bags were safely storaged outside they would just go outside to pick their stuff and come back. For me that’s the worst part of saying at a hostel: feeling like I may disturb someone even if I carefully start searching for something in my bag. 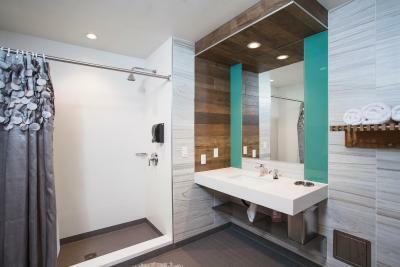 Another thing I suggest is to make the regular shower cabins a bit larger. It’s impossible to change clothes in there. The preferential cabin is perfect but it doesn’t need to be that big so making the regular one a bit wider could solve the problem. Aaaalso I think the curtains could be a bit taller as the water goes to the space dedicated for changing clothes.